The more inventory you have, the more it costs. The more it cost, the less you earn. The less inventory you have, the less sales is made. The less you earn. 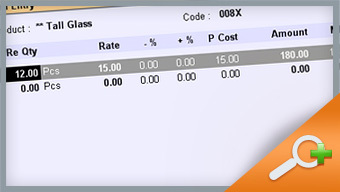 RanceLab® FusionRetail™ 6 helps you to keep right inventory to increase profits and reduce cost. RanceLab® FusionRetail™ 6 Inventory can be implemented very fast without hampering the sales and other day-to-day processes. This means you do not lose anything while implementing. It includes a complete Stock Accounting for any number of Products and SKU's with a set of user definable options to suit your business needs. Bar-coding: Manually recording item X while buying and selling item Y causes stock mismatch. The result is un-reliable stock report. 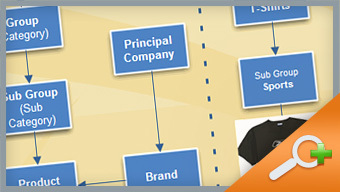 RanceLab® FusionRetail™ 6 barcode integration eliminates these errors and also speeds up your purchase and sale process. 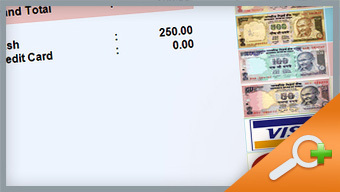 Barcode designer and one click generation of barcode labels with laser or barcode printers makes the process easy. The correct hierarchy is the mother of all MIS (Management Information System). Correct categorization is half job done in retail. 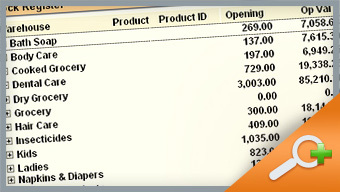 RanceLab® FusionRetail™ 6 Inventory helps you to correctly classify and categorize complete stock accounting for any number of products and SKUs. With our innovative procedures you can avoid common mistakes and create a healthy hierarchy which in turn helps to reduce the stock cost. You can simply scan the product UPC/EAN and provide information such as quantity, cost price, MRP, sale price and other dimension of like size, color, design, etc. as applicable. RanceLab® FusionRetail™ 6 Purchase instantly displays last purchase details, auto-fill last prices, and separate classification for each purchase and to track and monitor good and bad business associates. It also helps to crate a correct master when you are adding new products. 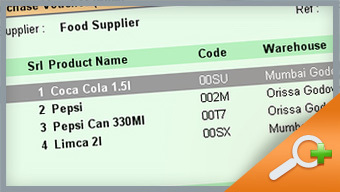 POS – Point Of Sale – A do–it–yourself section of RanceLab® FusionRetail™ 6 Inventory. It shoulders the responsibilities of an operator and boosts her for greater productivity. A concise, to-the-point and ready to use options loads them like a soldier on a war-front. Plan your merchandize by quickly looking at its performance in your inventory book. RanceLab® FusionRetail™ 6 generates a few selected and finest inventory reports that facilitate an entrepreneur in making the right decision at the right time.